The continued mobile global growth is evident when looking at market-level data. The mobile game market is driven by the fast-growing adoption and penetration of smartphones and the internet. I expanded on this in the 1st Part of this article so, if you haven’t read it, make sure you do to get a full picture of the global market trends which are fueling the mobile game growth of selected geos. Part of the reason why Japanese players have high conversion rates is historical. Japanese were way ahead of the U.S. and Europe in terms of mobile web in general, and mobile gaming in particular. This made Japanese users familiar with purchasing virtual items in games on mobile. So now, it is only natural that they spend more money via their phones, simply because it has long since become a norm. 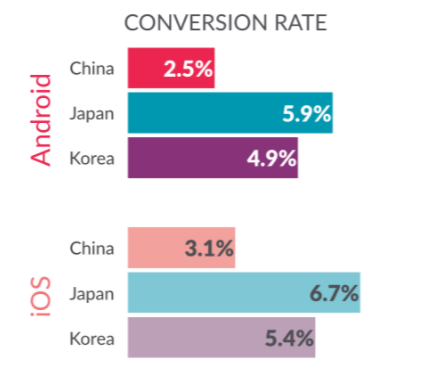 The above graph illustrates that Japan is the leader in share of users on both iOS and Android who make at least one purchase in a given time period. 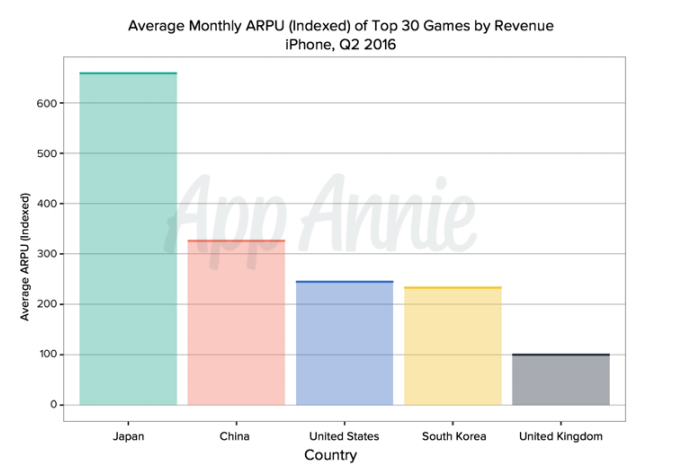 The mobile game market is huge and growing, but major markets, including Japan, the U.S. and European countries, are starting to saturate as the industry matures. Emerging markets like India, Brazil and Russia, however, offer great potential for mobile game growth. 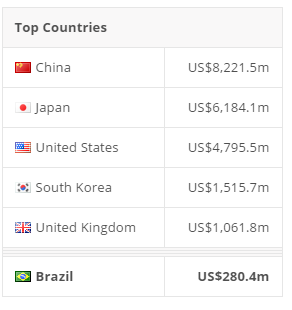 Brazil is the driving force behind the continuous growth of the LATAM market and remains the most prosperous when it comes to mobile game revenue ($280 million in May 2017 according to Statista). However, while Brazil brings in the most revenue from the region, it still amounts to low revenues in comparison to other, more developed countries. 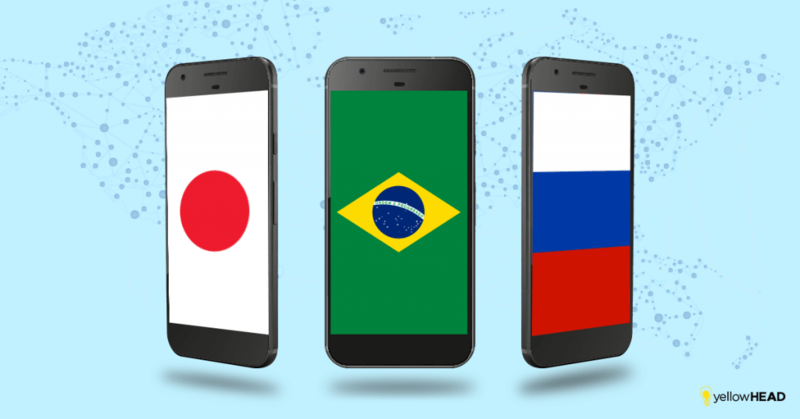 With 64 million smartphone users, slightly more than those in Japan, monetization in Brazil has been a real challenge for game developers. Conversions are tricky in a country with 55 million unbanked adults and many young people without a credit card or even a bank account. Alternative methods of mobile payments should be considered by game developers when it comes to mobile transactions. Thanks to the affordability of Android devices, 72% of Brazilians spend their time on Android games. According to Newzoo, the revenue generated by the Russian mobile game market in 2016 was $500 million, out of the total $1.4B worth of the game market in the country. 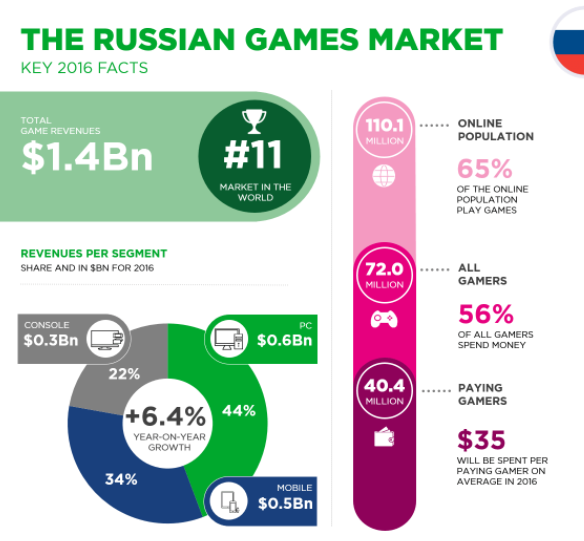 While 2016 was the year of mobile for the majority of the world, in Russia, 44% of gaming revenue still comes from desktop devices, with one of the most popular genres being MMO, and mobile devices account for only 34%. The mobile audience, however, shows healthy growth, estimating 65.1 million users in 2016. As in Brazil, Android mobile game installs are far higher on Android devices than on iOS in Russia. Russian mobile gaming has more app installations on the Google Play Store – 86% compared with only 11% from the iOS App Store. An interesting fact, however, is that Russian users prefer iPads over Android tablets. One thing that fascinates me about mobile game market-level data I get from various reports and researches, is how the markets differ from country to country due to cultural and economic factors, including market size, consumer tastes, and even politics. 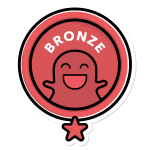 Mobile games are booming and, as the industry matures and Tier 1 countries become saturated, more and more game developers and publishers are looking into emerging markets. In order to succeed in new markets, however, they need to have a clear and well-thought-out strategy, as well as stay on top of the trends and be flexible to adjust their approach when necessary.